If I had to sum up the secret behind building a persuasive B2B brand, I would say the key is hard work and persistence. A lot of effort is involved in getting the level of recall that will push you towards leadership in your field. How can you give potential customers a reason to do business with you? 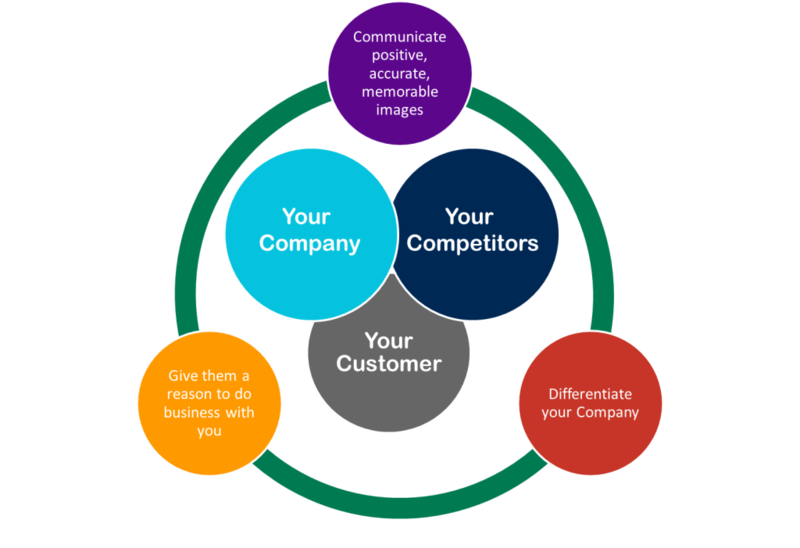 How can you communicate an accurate image of your company's capabilities? Competition – “Know your competition” has been in numerous Mezzanine blogs, and it couldn’t be truer when developing a B2B brand. Knowing your competitors' positioning is vital in creating a brand that differentiates your company. Too often companies take the “me too” approach to branding. They say, “we can do that and do it even better,” but this is a really hard message to deliver convincingly. Your goal should be inspiring the audience, to build confidence in them and touch a cord that moves them. Caterpillar doesn’t tell you that they have the fastest, most efficient, and sturdiest products in the market place, they simply say that they “drive positive change on every continent” – now doesn’t that move you to find out more? Focus – Though you may have 24 products in your line (as Caterpillar does), all you need to focus on is a single brand – your company’s. A corporate brand (rather than individual product brands) is more manageable for your audience and creates the “following” you want. Once you communicate the message of what differentiates your company from the competition, that message will transcend across all products/services. The recognition you've established will flow to all areas of your business. Remember, brands evoke feelings, emotions, and actions. Spend time building the brand elements that contribute to the feelings you want to arouse. Consistency – Your company's message and image must remain consistent across all brand elements. As mentioned in the first post of this series, The Importance of Brand Development for B2B Companies, familiarity breeds confidence. The goal is to communicate a positive, accurate, and memorable image of your company. Don’t skimp in any area. Figure out your messaging (something we can really help you with at the Mezzanine Group) and ensure everything is aligned to create the uniformity that your audience will embrace. Top Down – Brand image starts from the top and moves down. If leadership projects the company’s image as whimsical and imaginative, then your brand image will be whimsical and imaginative. Your brand lives within your owners, stakeholders, employees, and representatives, so feed your team with the elements you want conveyed and set them free. They will deliver the message in everything they do. Remember, a strong brand is not developed over night. It can take years of effort and grooming before it fully takes shape. Check in regularly to ensure your brand message is significant to the market. Your clients' businesses change constantly, and your brand image needs to evolve alongside them. Join me next month for my final post in the series: Elements of Brand Building.